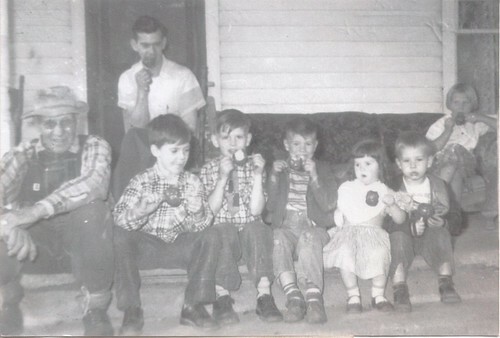 An aunt recently passed away, and in her home a number of old photographs were rediscovered. My cousin Jasson Schrock of Heipile scanned the photos below, as well as many more. 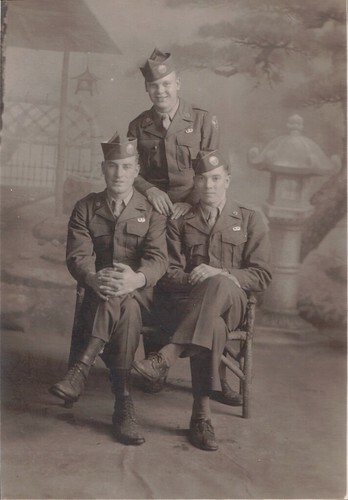 My grandfather, Tobe Schrock, was stationed in Japan after World War II. He is the one on the right. 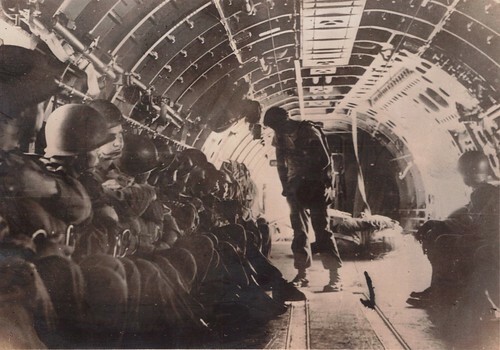 Tobe was trained as a paratrooper while in the Army. 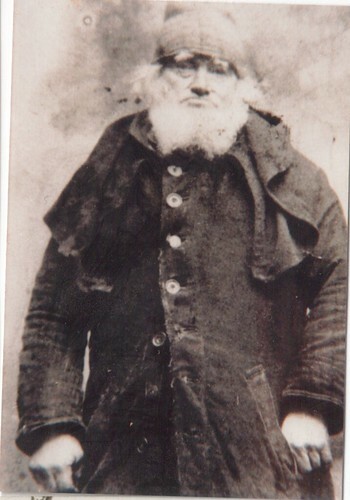 Joseph “Dynamite Joe” Schrock was a grandfather of Tobe, living from 1836 to 1912. Tobe’s father–also Joseph–lived from 1872 until 1946, right when Tobe was about to leave for Japan. 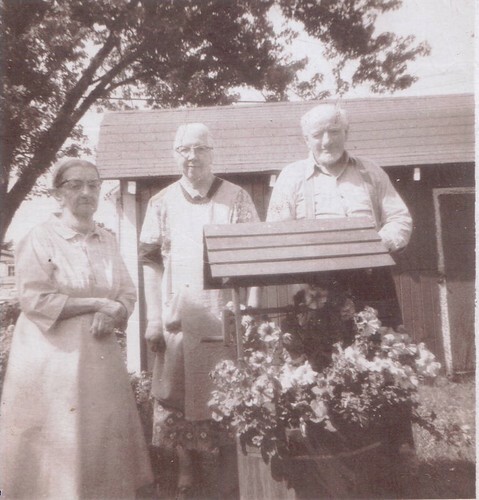 This photo is captioned “Ezra Lantz, his wife, and Emma Schrock.” Emma Schrock, left, was Joseph Schrock’s husband and lived from 1888 to 1989. 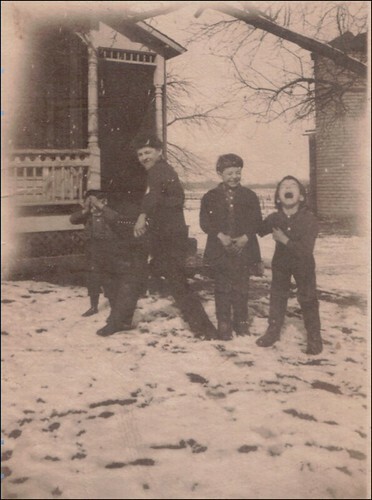 Tobe, Atlee, Perry, Alvin Schrock playing in the snow. 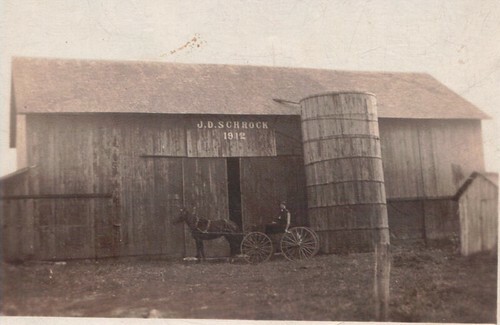 Schrocks eventually moved to Akron, New York. 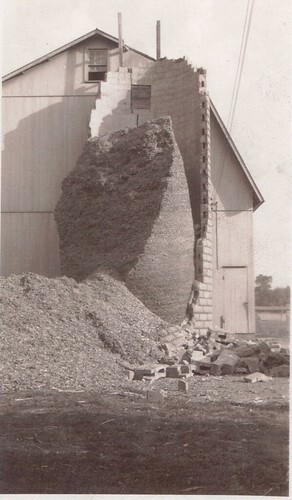 This silo used to be on the property until it went down from being too full. This entry was posted on January 5, 2014 by Fred Schrock. It was filed under Uncategorized . Wow! You can definitely see the family resemblance between Tobe and your dad! Thanks for sharing, Fred!